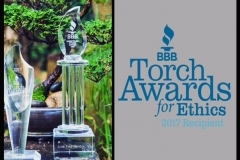 Better Business Bureau (BBB) of Northwest NC has awarded the 2017 Torch Awards for Ethics to Lusk Tree Services of Winston Salem. 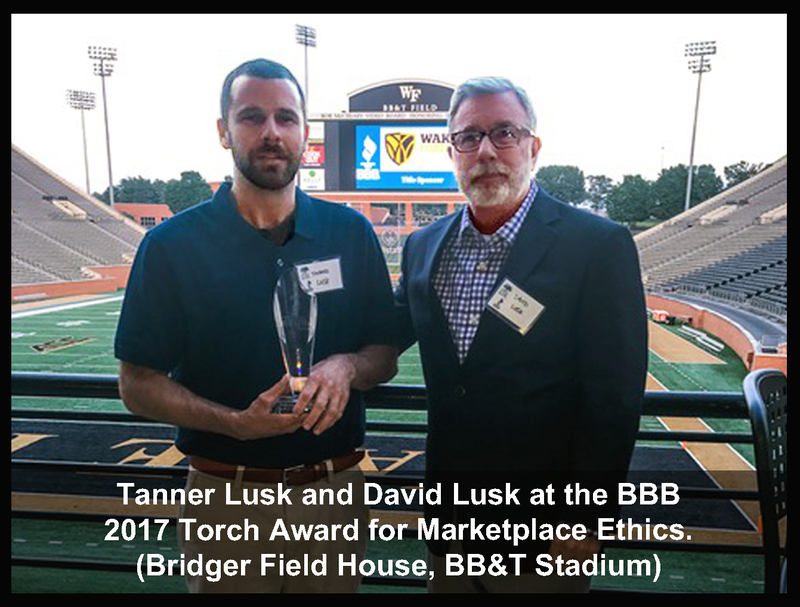 The Torch Awards honor businesses that go above and beyond in advancing marketplace trust in Northwest North Carolina. 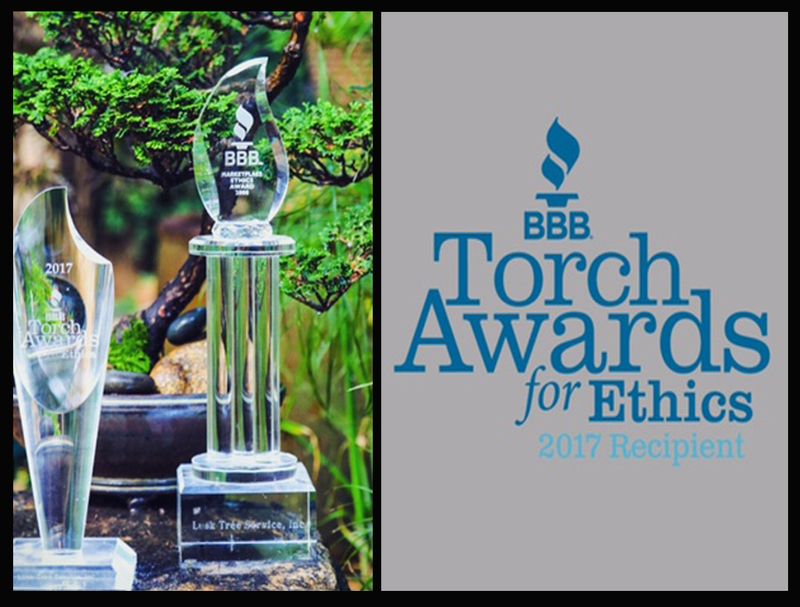 These businesses have leadership that demonstrates impeccable character and business practices that meet the highest standards of integrity. 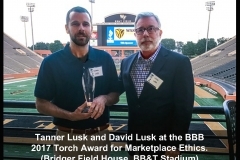 The Better Business Bureau awards Lusk Tree Service, Inc. with The 2008 Market Place Ethics Award. 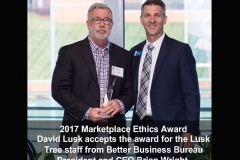 MAN’S FRIEND: Arborist respects the trees The Winston-Salem Journal’s, Ken Keuffel, writes a biographical article on Lusk Tree Service owner, David Lusk’s career working with trees. 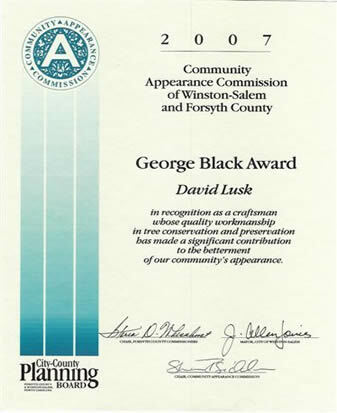 David Lusk receives George Black Award from the Winston-Salem/Forsyth County Community Appearance Commission for his efforts in promoting tree preservation and tree conservation. 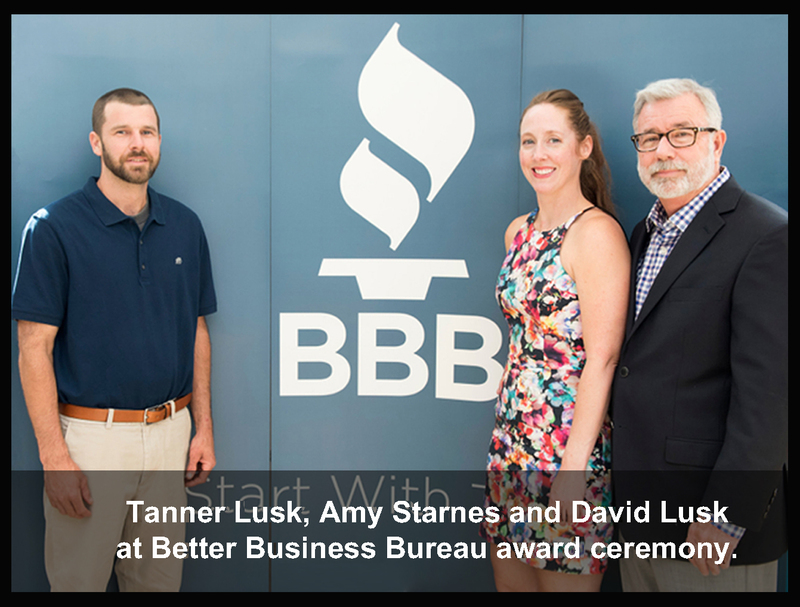 Lusk Tree Service receives Honorable Mention Certificate for Market Place Ethics from the Better Business Bureau. 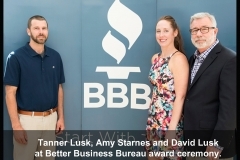 For more information, visit the BBB of Northwest North Carolina, Inc. The property located on the corner of Coliseum Drive and University Parkway is shaded by beautiful oaks, ornamental cherries, southern magnolias and dogwoods. In the late 1980’s to early 1990’s, the beautiful oaks were severely topped and stripped of their dignity. 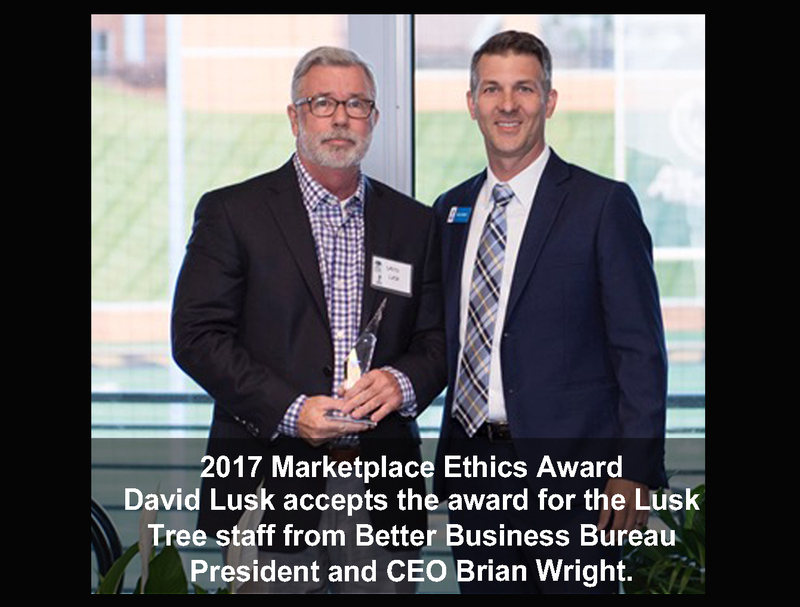 The large diameter willow oaks were then left to fight for survival until property manager David Miner and arborist David Lusk decided to preserve these large trees by re-constructive pruning. 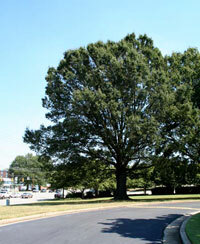 The willow oaks had extensive large diameter dead limbs and decay, which became a concern for their health and vigor. Re-constructive pruning eliminated the damaged portions while restoring the healthy growth. This enabled the trees to store their energy reserves efficiently and naturally. It is also important to note that these trees are no longer a safety liability.